New York Board Certified Plastic Surgeon, Dr. Douglas Steinbrech is the innovator behind the latest procedure contributing to the growing trend in male plastic surgery. That has certainly never rang more true when it comes to diet, exercise, and the lasting effects on one’s midsection. Reality exposes the harsh truth that even the most well-disciplined individuals with toned abs can still be concealed under a layer of fat. Gladiators exemplify a physique that exudes masculinity while promoting the ultimate strong, defined healthy body prototype. 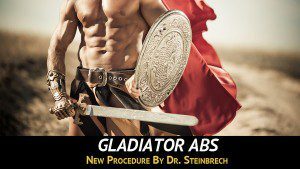 A new cutting-edge treatment was developed and perfected by Dr. Douglas Steinbrech just in time for Spring- Gladiator Abs. This procedure is not only revolutionizing male plastic surgery, but it has jump started a steady incline in consultations. Men are lining up to play Russell Crowe’s character in the upcoming sequel. Just kidding, but no really, men are now taking the drastic measures just as often as women have been known to do in order to alter their appearance and sculpt their ideal body. Men seemingly shy away from that “Bruce Jenner” botched, soft, feminine look and even use him as a point of reference of how they do not want to look. Boy, has that insight ever reigned more true. “As soon as you look operated on, like- who’s that Kardashian guy? -Bruce Jenner, you lose masculinity,” said Dr. Steinbrech, who states more than half his patients are men. Dr. Philip Miller also agrees that he has seen a significant escalation in male consultations where male rhinoplasty is one of his specialty areas of expertise. The results include chiseled features and abdominal shredding upon male’s desired look. Dr. Steinbrech has even developed packages designed to achieve the optimal look that producers, Hollywood execs, and other influencers are looking for when casting the roles that can slingshot actors into stardom. 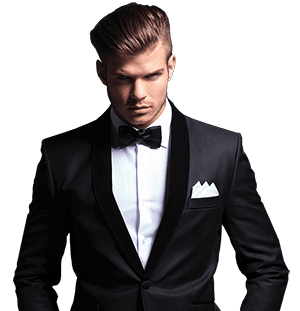 There is no denying that there is what seems to be a limitless amount of attractive men roaming around, but who has what it takes to be the next leading man as they walk down the street? Dr. Steinbrech leads the industry with the top innovative procedures among his male clients. He truly understands the desire to achieve the gladiator look and how to provide treatments that serve a purpose and successfully feed a man’s expectations. After all, what guy doesn’t want to look like a Gladiator?